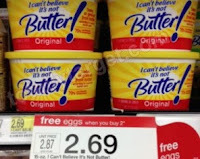 FREE Eggs wyb "Butter" + High Value Coupon! Now until 5/5, you can get free eggs when you buy 2 I Can't Believe It's Not Butters at Target. Luckily, we have a high-value coupon for the ICBINB, which makes for a great deal! 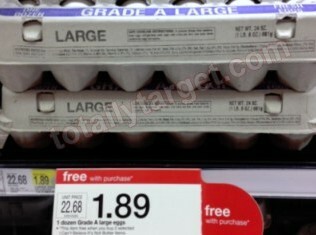 = $0.96 each for all three items!